The sport pilot of the weight-shift control airplane reported that, during landing, the airplane touched down hard, fracturing the engine mount sway bars; the airplane subsequently bounced back into the air. In an attempt to prevent a stall, the pilot elected to go around. As he gained altitude, he realized that the airplane was difficult to control. A witness reported that the airplane made four subsequent landing attempts without touching down. On the fifth approach, the airplane appeared to land hard, bounce, and touch down again before departing the runway. The pilot reported that, upon touchdown, he felt the airplane suddenly accelerate before it began to cartwheel and departed the left side of the runway where it came to rest inverted. Postaccident examination revealed no mechanical malfunctions or anomalies that would have precluded normal operation. The engine throttle was controlled via a foot pedal, and it is likely that the pilot inadvertently depressed the pedal during the landing sequence, which resulted in the acceleration he experienced after touchdown and contributed to the loss of control. The pilot's improper landing flare, which resulted in a fractured engine mount sway bar and subsequent difficulty controlling the airplane, and his inadvertent application of throttle pedal during landing, which resulted in a loss of control. 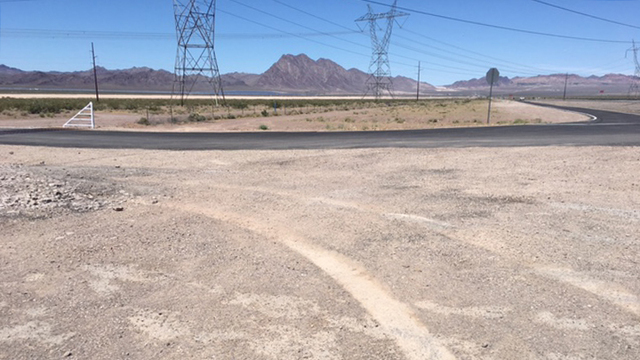 On April 25, 2018, about 1015 Pacific daylight time, a North Wing UUM Inc Sport X2-N, weight-shift control, special light sport airplane, N366DN, sustained substantial damage following a loss of control during landing at Calvada Meadows Airport (K74P), Pahrump, Nevada. The airplane was registered to a private individual and operated by the pilot as a 14 Code of Federal Regulations (CFR) Part 91 visual flight rules flight when the accident occurred. The sport pilot sustained serious injuries. Visual meteorological conditions prevailed, and no flight plan had been filed. The flight departed K74P for a local flight in the traffic pattern. According to a witness, during a previous landing attempt, the airplane descended toward the runway at a steep angle and failed to flare prior to touching down hard. Following the ground contact, he heard the engine advance and the airplane went around while attempting to gain control of the airplane. The pilot then made four subsequent approaches to the runway, without touching down. On the fifth approach, the airplane appeared to overshoot the runway and then landed hard, bouncing about 30-50ft before touching down again and departing the left side of the runway, coming to rest inverted. The pilot stated on NTSB Accident/Incident Reporting Form 6120.1, that on the landing attempt immediately preceding the accident, he hit hard on the runway and became airborne again. He increased the throttle to gain altitude to go around and re-attempt the landing. As he gained altitude, he realized the airplane was difficult to control and when he made a left turn to enter a downwind leg of the traffic pattern "the aircraft went into a violent left turn." After several more landing attempts, the pilot was getting physically fatigued from fighting to maintain control and decided to make a full-stop landing. After touching down on the runway, he felt the airplane accelerate before it began to cartwheel and departed the left side of the runway. The airplane was designed in such a way that the throttle is controlled by the pilot through the use of a foot pedal. A post-accident examination by Federal Aviation Administration (FAA) inspectors, revealed substantial damage to the wing and a broken engine mount sway bar. Upon further examination it was discovered that the brakes had been removed and the brake lines were capped. No mechanical malfunction or anomaly was discovered that could have led to the sudden acceleration reported by the pilot. The closest official weather observation station to the accident site was McCarran International Airport (KLAS), Las Vegas, Nevada. At 0956, a METAR was reporting, in part, wind 070° at 5 knots; visibility 10 statute miles; few clouds at 25,000ft; temperature 79° F; dew point 25° F; and altimeter 30.07 inches of mercury. The student pilot of the weight-shift-control aircraft reported that, while practicing touch-and-go landings on a dried lake bed, the flight instructor was controlling the throttle inputs, and she "controlled the wing." She added that, just before the accident, she observed three dust devils to the east and that, during a final pass near the north end of the lake bed, they came upon "strong localized turbulence." The aircraft impacted the ground and rolled to the left. The flight instructor reported that, during the turbulence encounter "about 4-6 ft" above the ground, the "wing stalled," which resulted in a "hard nose wheel landing." The weight-shift-control aircraft sustained substantial damage to both wings. The flight instructor reported that there were no preaccident mechanical failures or malfunctions with the weigh-shift-control aircraft that would have precluded normal operation. The flight instructor reported that the wind was light and variable and that the temperature was 70°F at the accident location. A review of recorded data from the automated weather observation station located about 6 miles northeast of the accident site reported that, about the time of the accident, the wind was calm, and the temperature was 64°F. The student pilot's exceedance of the weight-shift-control aircraft's critical angle of attack and the flight instructor's delayed remedial action and failure to maintain the proper airspeed after encountering localized turbulence during approach, which resulted in an aerodynamic stall.